An Apple Community discussion has gained a lot of attention over the past day or so as an increasing number of iPhone 7 users are upset with the anodized coating of the matte black model that is chipping off, resulting in a really off-putting appearance when silver aluminum is exposed behind the chipped coating. The community post started back in November, but has gained three additional pages of responses in the past couple of days. 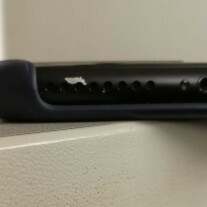 A common theme among those affected with the chipping is underneath the phone on one of the speaker vents, and the majority of customers say they’ve used their phones in a case. A speaker vent is commonly where the user balances their smartphone using one or both pinkies. A possibility is that the chemical makeup of the coating is not designed to withstand the chemical makeup of the oils that are naturally on our skin, causing the finish to fade. 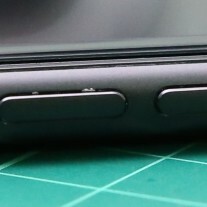 Which could explain some of the chipping near the volume buttons or the Do Not Disturb switch. Oil could get stuck under an area of a case and keep constant contact with the surface of the coating. While this is purely speculative, it is entirely plausible. What’s unfortunate is that Apple automatically dismissed this reported chipping finish as normal “wear and tear”, something that Apple explicitly does not cover in the iPhone’s standard warranty. Someone would need to prove to Apple that this is, in fact, a manufacturing defect with hard evidence before the company continues to dismiss the issue at hand. A similar thing happened with the Slate Black iPhone 5, many users complained of paint chipping. Apple would silently replace the “Slate Black” with “Space Gray” when the iPhone 5S came around. 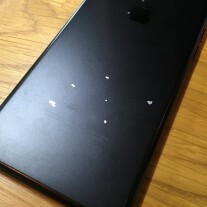 It appears that whatever anodizing method Apple went with for a matte black finish is not holding up under normal use for some frustrated owners. Apple's 10th anniversary iPhone to cost more than $1000? how big is this number your referring to?